How Important Is Brand ‘Marlboro’ To Altria’s Profitability in 2019? Should Cronos Group Scale Up Its U.S. Business? What Are The Key Risks Cronos Group Faces? Cronos group, a vertically integrated Canadian marijuana company, has seen its stock price rise close to 3x over the last year, driven by the legalization of recreational pot in Canada and also by a $1.8 billion investment from Marlboro cigarette maker Altria group. 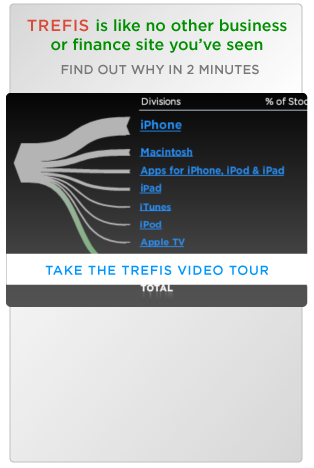 However, the company faces some risks, which we break down below using Trefis analysis. Cronos has not been posting financials of much consequence yet. 2018 net revenues stood at CAD 15.7 million, while net losses stood at CAD 19.2 million. Consensus revenues are projected at CAD 74 million for 2019. However, the company’s market cap stands at over CAD 7.5 billion, meaning that there is little margin of error for the stock with a forward price to sales multiple of over 100x. In comparison, larger rival Canopy Growth has a slightly lower P/S ratio of about 76x. Aurora could add 270,000 kg of flower production by 2020. In comparison, Cronos will only be producing a 110,000 to 120,000 kg, assuming it fully ramps production at Cronos GrowCo by 2020. Canopy is targeting upwards of 500,000 kilograms at peak. Cronos’ high-value oils business saw average selling prices decline substantially in Q4, partly due to higher excise taxes. Cronos has been counting on oils to bolster its earnings since these products have higher selling prices than dried cannabis and are targeted at the medical marijuana market. While this may be a transitory issue, it’s a risk that is worth noting for investors. While Canada legalized recreational pot last year, Cronos has been facing some teething troubles with scaling up its operations. Packaging and production have proven to be a bottleneck for many Canadian pot companies, although this could be partly addressed via partner Altria’s technology and expertise. There has been a lot of capital flowing into the nascent marijuana industry. For instance, liquor major Constellation Brands invested about $4 billion in Canopy Growth. It’s likely that a meaningful part of this is flowing into the expansion of production capacity. As with all agricultural products, there’s a possibility that this could lead to oversupply, potentially hurting pricing and margins. That said, Cronos is looking to improve its retail footprint, while leveraging the Altria deal to provide differentiated products such as pre-rolled joints, in a move that could make it less sensitive to price fluctuations. We have created an interactive dashboard analysis on what’s driving Cronos Group’s valuation, which allows users to modify any of our forecasts and drivers to arrive at their own valuation estimates for the company. See all of our data for Consumer Staples companies here. Visualize Related Companies: Altria Group, Inc.